Having been raised by a Tintin-loving dad, I was introduced to Tintin when I was quite young. Since then, I have re-read the books a lot of times but they never fail to delight me. 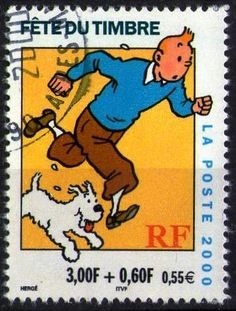 A character created by one of the most controversial cartoonists, George Remi aka Hergé (the nom de plume is derived by reversing the author’s initials and pronounced in French); Tintin is one of Europe’s most loved comic characters. With lively, whimsical and colorful characters, Tintin engages its reader thoroughly by taking its readers on adventurous and engrossing journeys across the world. 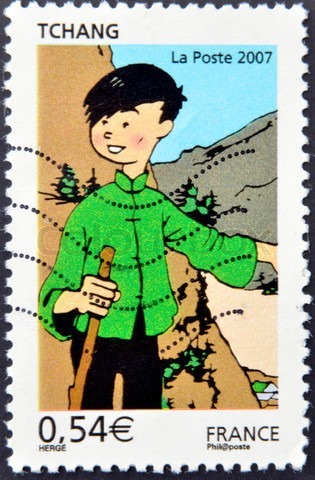 Hergé draws an elaborate picture of adventure in this series where a young Belgian reporter called Tintin (to be pronounced as Tantan, which is supposedly short for Martin in French!) manages to get himself involved in multiple capers without trying too hard. He is slightly priggish, honest and intrepid and believes that evil should not go unpunished. This common man morality of his is what makes him a beloved protagonist to his readers. Bearing a striking similarity to of James Bond, there is no vehicle in this world that Tintin cannot drive or ride. He is accompanied by his smart and doughty pet dog, Snowy, a snow white fox terrier (hence the name) in all of his missions. 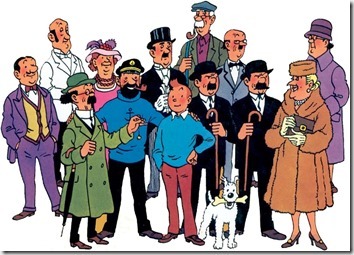 The other main characters in the series include Captain Haddock – an impatient yet heroic former Merchant Marine sea captain who loves his drink, Professor Cuthbert Calculus – an extremely intelligent, characteristically forgetful and deaf professor, and Thompson and Thomson – the inept and clumsy identical twin detectives who often end up letting the crooks escape. Other recurring characters include Rastapopulous (leader of one of the main criminal gangs), Bianca Castafiore (an oblivious but chatty opera singer greatly disliked by Captain Haddock), General Alcazar (a South American dictator who is later overthrown), Oliveira de Figueira (a Portuguese salesman who can sell almost anything), Cutts the Butcher (the local butcher whose phone number is often mistaken for Captain Haddock’s), Chang (an orphan boy whom Tintin befriends on his trip to China) and Nestor (an adroit and faithful butler at Captain Haddock’s Marlinspike Hall). The clumsy acts of the twin detectives, Captain Haddock’s matchless curses and Snowy’s thoughts are some of the notable features in the book that make it endearing to its readers. 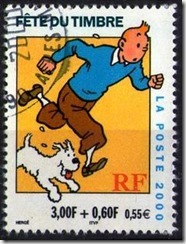 Beginning his journey in 1929, Tintin started out as a black and white comic strip in Le Petit Vingtième. As you read the series in its chronological order, you will see the evolution of the characters and scenarios through colors and drawing styles, though Hergé retains his signature Ligne Claire style of drawing (a famous concept in comic sketching created by Hergé). Though he has admitted to borrowing certain sketching styles from American cartoonist George McManus, he has undoubtedly defined his style in the world of comics through his idiosyncratic and meticulous rendering of plots and characters. With neat and expressive drawings, Hergé entwines reality with fiction in the right proportions to solidly express his views on certain current events without getting tangled in the web of politics. In the sequence of 23 rich and action-packed stories, Hergé projects each plot in such a way that that there is a real life historical event from post war Europe that shadows the plot, which makes the stories more reachable to their readers. 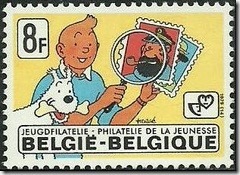 It is also an indicator of the immense research Hergé conducted to keep his story right. However, his portrayal of various cultural aspects of different countries like India, China, Japan, etc. 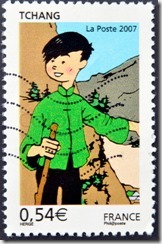 can be rather clichéd sometimes, giving off the impression that sometimes, Hergé was just another Westerner. Similarly, his depiction of foreign characters in some of his books has received repeated accusations of racism. 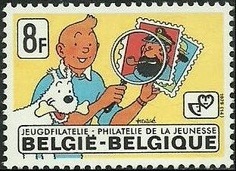 Probably the only comic character who has had the rare opportunity of appearing on the postage stamps of various countries, Tintin has a large fan base and is also the only comic character (thus far) to have those who study him and his exploits to be named after him – Tintinologists. It is hardly a wonder that the original 23 books have been translated into 80 languages and sell four million copies annually worldwide. The Tintin books are a complete package with action filled adventures, slapstick humor and a dash of mystery which makes them compulsive page-turners about one of the world’s most recognized comic book heroes. 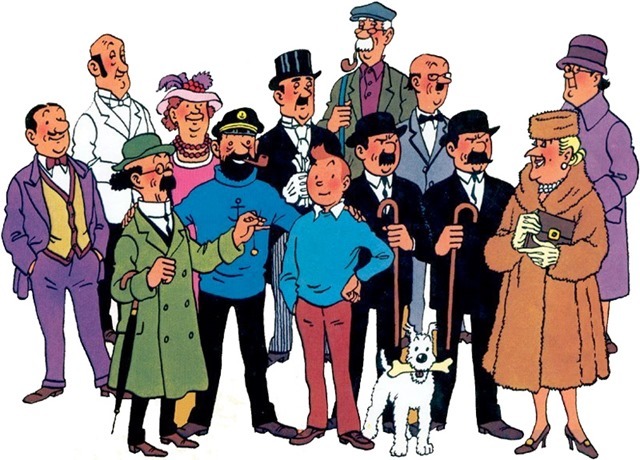 Get a complete list of all the Tintin books here, and check out who made the list of The 50 Greatest Comic Characters! While as a child, I loved readin Tintin, re-reading the books now make me realize the the quite racist moments Tintin does suffer from, something which now makes me uncomfortable. In fact, I usually try to avoid reading the earlier books where it is more blatant. However, it is his ultimate humanistic world views which still make him such a favourite. Each subsequent book does show well how Herge evolved into a man who cared more and more about the research he put in for differetn countries. The hidden racism in some of the most popular books makes me shudder too, but I think that maybe these authors – Herge, Agatha Christie, Enid Blyton et al. – did not even realise they were being racist. They simply made their characters talk and behave in a way that the average person at that time would have. Still, it dies make it difficult when you want to recommend these books to a kid these days! Enid Blyton especially. There is such vivid gender bias along with the racism. But then we read them as kids, and we turned out fine (hopefully)! Oh yes, I remember. But that is present throughout Agatha Christie too. Policemen were never considered “gentlemen”. So a policeman’s nephew would come under the same classification I suppose- the hoi polloi. But I feel, as a kid, you don’t read much into the lines of the author…. As a grown up, maybe we are just over thinking! Very True Ritika. I read the first two books – The land of the soviets and Congo, much later than I read the later books and I was appalled at Herge’s representation or attitude towards the Congolese! But then, I felt he did realize his mistake and carefully avoided it in his later books.